McMaster University was eager to modernize its communications infrastructure in order to increase collaboration between its nearly 8,000 faculty and staff. With an aging communication infrastructure servicing over 50 buildings on its main campus and various off campus locations, along with two new off-campus facilities set to open prior to the school year, McMaster—a longtime Avaya customer—knew the potential cost of standing still. Instead, the university chose to move communications forward, green-lighting a multi-phase deployment to migrate 10,000 licensed users from old CS1000 platforms on to one unified Avaya Aura Platform. McMaster University made it a priority to outfit its new off-campus, downtown locations with a state-of-the- art communications infrastructure. The university envisioned its staff and faculty seamlessly communicating through a variety of devices, including smartphones, tablets, PCs, Macs, and conference room video systems. However, whatever platform it chose would have to work seamlessly with its on- and off-campus buildings, all of which were running on various end-of-life Nortel platforms, until users at each site were successfully migrated. Making matters more complicated, the university was already in the midst of switching to a new administrative information system, so it was essential the migration have minimal impact on the day-to-day operations of faculty and staff who were already managing a significant amount of change. It was also vital that all 5-digit extension numbers stay the same, as the university operated on a coordinated dialing plan, which it shared with hospitals in the area. Normally, migrating thousands of staff to a modern Unified Communications & Collaboration (UCC) platform would cost millions upon millions of dollars - funding that a public research university like McMaster would be hard-pressed to find. However, thanks to Avaya’s Software Investment Protection Program, the university was able to move from old Nortel technology to a cutting-edge communications platform at a minimal cost. “The opportunity to capitalize on our existing investments and migrate over 10,000 licenses to the Avaya Aura Platform represented a significant savings for the university,” said Paula Brown-Hackett, Senior IT Manager-Enterprise Networks, McMaster University. Laying the foundation for a unified communications infrastructure that would support different departments’ current and future IT environments, McMaster University embarked on a multi-phase plan that would see the Avaya Aura platform installed in its newest buildings immediately, with users at more than 50 facilities being migrated on to the technology systematically over a number of years. Since Avaya’s state-of-the-art technology is fully compatible with the outdated CS1000M systems still running in many of the university’s facilities, McMaster is now executing this phased, step-by-step implementation with no downtime or negative impact on staff. 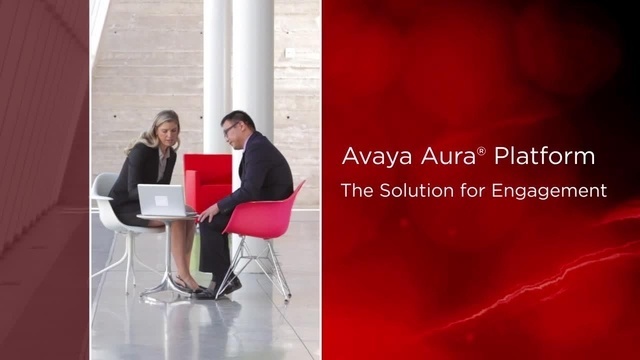 Currently in an environment where 1,100 users have been migrated on to the Avaya Aura platform—while thousands more wait for their turn—faculty and staff in buildings on- and off-campus are now communicating and collaborating harmoniously, without ever knowing what platform they’re on. “From an end-user perspective, the compatibility is really amazing,” added Brown-Hackett. “We now have a functional dialing plan between all systems, and every staff member was able to keep their same extension." All of McMaster’s past and planned installations of the Avaya Aura platform include Avaya Aura Communications Manager, Session Manager, and System Manager. The foundation of the core architecture, Session Manager, supports the SIP architecture and makes it possible to manage users and multimedia communications across both Avaya and third-party communications systems. Avaya Aura System Manager is a web-based management console for provisioning, user administration, dial plan management, routing policies, security and fault/ performance monitoring, and licensing. With a softphone loaded on their desktops and laptops, they now have the ability to work from anywhere while still being easily accessible to their colleagues and students. In addition to lowering infrastructure costs and increasing network efficiency, McMaster hopes the unified communications platform will help the university better serve its student population in the near future. Once more faculty members are migrated on to the new technology, professors and teaching assistants will no longer have to be in their office to receive calls on their extension or to retrieve a voicemail, allowing students to reach them at any time.